Born in the UK, brought up in Canada, and now living in Edinburgh, Scotland, Alette Willis is a world-class storyteller. 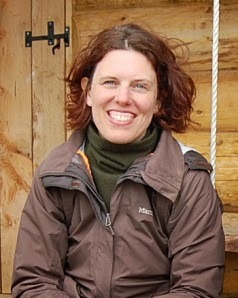 She was awarded a PhD in Human Geography from Carleton University in Ottawa in 2008 and later moved to Edinburgh where she works as a narrative researcher and teacher at Edinburgh University's Dept of Counselling and Psychotherapy. "My research," she explains, "focuses on how people use narratives to give meaning to their lives and to make ethical choices, both in crisis moments and everyday life." In July 2014 she teams up with storyteller and psychologist Steven Killick to host the colloquium "Storytelling in Health and Well-Being" at the George Ewart Evans Centre for Storytelling, University of South Wales in association with the Beyond the Border International Storytelling Festival. Alette's also an award-winning author, winning the 2011 Kelpie Prize for Fiction for the novel How To Make a Golem (and Terrify People) (Floris Books). In addition to her academic and writing talents, Alette is a creative and engaging storyteller with strong interests in the environment and ecology. She's been a regular contributor to the Royal Botanical Gardens "Talking Trees" storytelling project and has taken part in numerous science festivals where she uses story to explain cosmological concepts. You can learn more about Alette and her work by visiting http://restoryingtheearth.com/ and http://www.nutshell-videos.ed.ac.uk/alette-willis-researching-stories/. . . .
. . . and, of course, listen in to our conversation on The Teller and the Tale where you'll hear Alette share a story about the little creatures that hold our universe together! It all starts this Sunday June 22nd at 7am EST (Canada/US) and 12 noon BST (UK/Ireland). You can also listen again on Tuesday June 24th at 8pm EST and 1am BST and on Thursday June 26th at 4pm EST and 9pm BST. 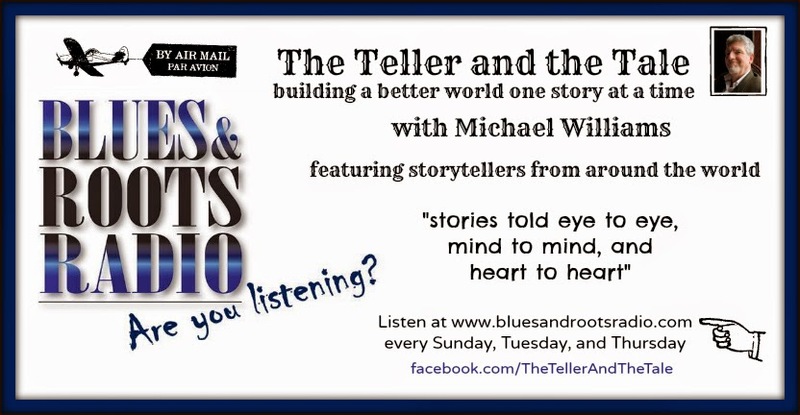 All of this storytelling magic on Blues and Roots Radio. Simply go to www.bluesandrootsradio.com and click on the "Listen Live" button. Sit back and enjoy. And if you miss it or want to listen again, you can always go to my blog at http://michaelwilliamsstoryteller.blogspot.com and catch up. You'll also find my previous shows and learn what I'm up to in the world of storytelling. In the meantime, please go to the Teller and the Tale Facebook site and "Like" us and leave us a message. And don't forget to drop in on Blues and Roots Radio for the best Celtic, folk, singer-songwriter, and blues (and storytelling) this side of heaven. Check out their Facebook page too and leave us a comment. We'd love to hear from you.